Flooding was rampant yesterday for what seemed like half the country. Social Media was buzzing with images, safety tips and information about the event as it continued to get increasingly worse as the day wore on and the rain seemed unending. Using social networks to communicate emergency, safety and preparedness information has now, in 2014, become a standard operating procedure for quite a few emergency management and response organizations. As with any standard procedure, each event can provide an opportunity to understand how to improve and adjust. As a person on the receiving end of the information stream yesterday, I noticed three things that could be improved upon. On a day where the situation is changing rapidly, as it does with flooding, people will be looking for information anywhere they can get it. It is important to keep in mind that there is a high likelihood that those searches will be occurring on a mobile device. According to the Pew Research Center “The growing ubiquity of cell phones, especially the rise of smartphones, has made social networking just a finger tap away. Fully 40% of cell phone owners use a social networking site on their phone, and 28% do so on a typical day.” Of course, the deluge we experienced yesterday was anything but typical, so that percentage was more than likely much higher. With this in mind, when posting content about road closures, for instance, make sure the user does not have to go to another site to get the information, as seen in this Facebook. There were only 8 roads closed–why not list them all? If you are using a micro-blogging site, such as Twitter, that won’t allow listing all roads in one post–do 8 separate posts. A warning about the dangers of driving through standing water is good, such as the one below. However, a picture of a water rescues or a stranded vehicle might be more of a deterrent. There are many ways communities can reach their citizens with emergency information: a website, reserve calls, social media, door-to-door (if necessary). It is important to keep in mind that no single source will reach all of your citizens. 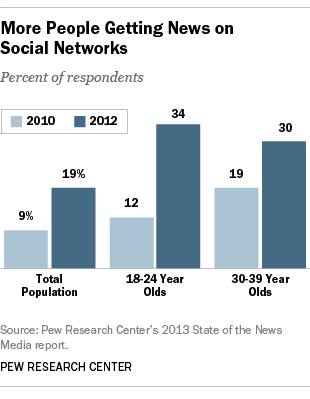 Younger people may search social media for news and information (as shown by the Pew Research Center results) and older individuals might not ever look at your website. However, linking and reinforcing all of those information outlets is important because you do not know where the citizen will start their search. I’ll use my own community as an example. Quite a few cities and counties have the service that allows them to call citizens on home phones or cell phones to provide updates about the situation. In my community, the call yesterday ended with a note to call the “Hotline” for more information. Unfortunately, there was no mention of their own social media sites that were up and running and providing vital emergency information and regular updates. A quick visit to the county website also yielded disappointing results–there was no mention of the emergency at all and no easy way to navigate to current information. When choosing the “Facebook” link on the homepage, their emergency management page is not even on the list. In terms of providing information to citizens via social networking the emergency management community does seem to “get it.” We are now in a position to tweak and refine our processes in order to best serve our communities versus debate whether or not these are useful tools. That’s a good thing. Let me know, what lessons have you learned from recent experiences? This entry was posted in Social Media and Emergency Management and tagged Emergency management, Facebook, Mobile phone, social media, Social network, technology, Twitter. Bookmark the permalink. Thanks for the thought-provoking post. A couple of observations. 1. I suspect that the Facebook post that didn’t list all of the road closures was the result of using programs that dual-post messages to Twitter and Facebook. That’s something us PIOs and Social Media managers must consider before dual-posting a message. Even though it is expedient, what makes sense on Twitter sometimes does not make sense on Facebook. On the other hand, your suggestion to send out eight road closure tweets on Twitter has its own down side. After one of the big area events in 2012 (they became a blur and I’m not sure which one), our social media manager wanted to make sure follower had access to all of the 26 local emergency management offices around Maryland. So, she sent out 26 separate Tweets, just so folks (especially those without power) would not have to go to a website to get the information. Of course, more that a few followers took offense at their Twitter account being inundated with 26 Tweets, 25 of which were not applicable to them. 2. I suspect the disconnect on your last point was because of the disconnect between the county home page and the emergency management page. While we posted some state information on our agency page during the flooding and changed the theme of our home page to flooding preparedness, I have to confess that I did not look at the State of Maryland home page to see what, if anything, they included. Something I need to keep in mind for the future! Thanks again for this particular post, and your always-informative blog in general. Thanks so much Ed for your comments. I agree 26 separate Tweets might be annoying–there’s no doubt. One alternative might be the use of a mobile ready blog, similar to how Fairfax County uses a WordPress site during emergency events. WordPress, in particular, looks really nice on a smartphone. And yes, it is kind of easy to forget about all of the various entry points to an agency. You just never know where a citizen might start their search for information. Thanks again! I’m glad you found it interesting. Road Closures are particularly critical – we use a system up in Canada (MASAS) that allows our first responders to receive their info in various formats, including map-based. Getting the message out to all the channels is key – in the formats that work (short for twitter & sms, longer text on blogs and facebook, and map-based where feasible) – is key. Great article Kim. Thanks for sharing it.